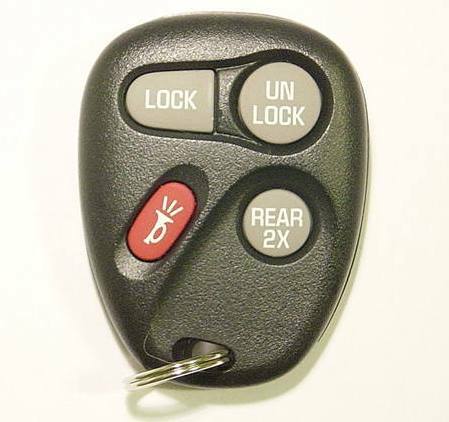 Keyless Entry Remote for 2000 Cadillac Escalade - Used. Programming instructions for this 2000 Cadillac Escalade remote control are free and included with the purchase of the remote. Price above is quoted for one replacement Cadillac DeVille car remote. All 2000 Cadillac Escalade were manufactured with a standard, factory remote keyless entry system. All remotes we sell include a battery. Every single remote control is tested before it is shipped. We offer 90 days 100% satisfaction guarantee and warranty on all parts. Quoted above is an average dealer price including programming of this remote. Used remotes are the same original factory parts reconditioned and fully tested before we ship. Used remotes will function like their original new counterparts, however you should expect some minor wear and scratches on the plastic case or buttons.